But before you ask, this character is not young Clark Kent/Kal-El. 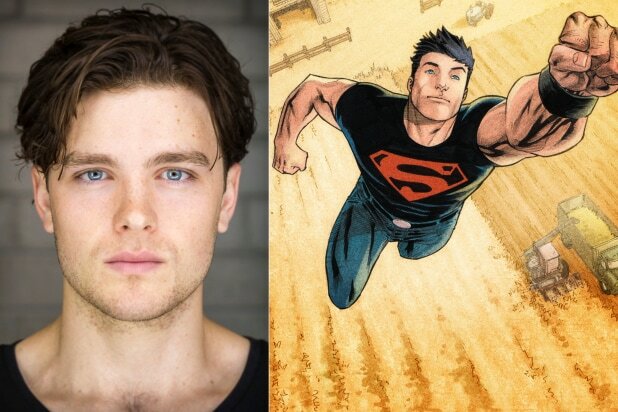 Orpin will be playing Conner Kent, the second DC Comics character called Superboy. Created by Karl Kesel and Tom Grummett as part of DC’s 1992-1993 “The Death of Superman” crossover event, Conner is a clone intended to fill the void left by the apparent death of the Man of Steel. Believing himself to be a clone of Superman himself, he later learns things are a bit more complicated — though we won’t spoil how. Suffice to say, it gets weird. “Titans” was the flagship series for the DC Comics-branded streaming service, which launched last August. The service’s second series, “Doom Patrol,” debuted earlier this month as DC Universe plans an expansive roster of TV shows based on fellow DC Comics characters including Stargirl, Swamp Thing and Harley Quinn. Akiva Goldsman, Geoff Johns, Greg Berlanti and Sarah Schechter are executive producers for the series from Weed Road Pictures and Berlanti Productions in association with Warner Bros. Television.